Indiscreet Facebook posting usually leads to trouble, especially if, let’s say, you’re part of a fairly conservative institution that doesn’t value individual expression quite as much as unstinting obedience and homogeneity. If you were serving in the Israeli military, for instance, you might not want to post underwear selfies of yourself on Facebook, because, as things on Facebook are liable to do, those selfies would inevitably find their ways to the eyeballs of some very censorious superior officers. 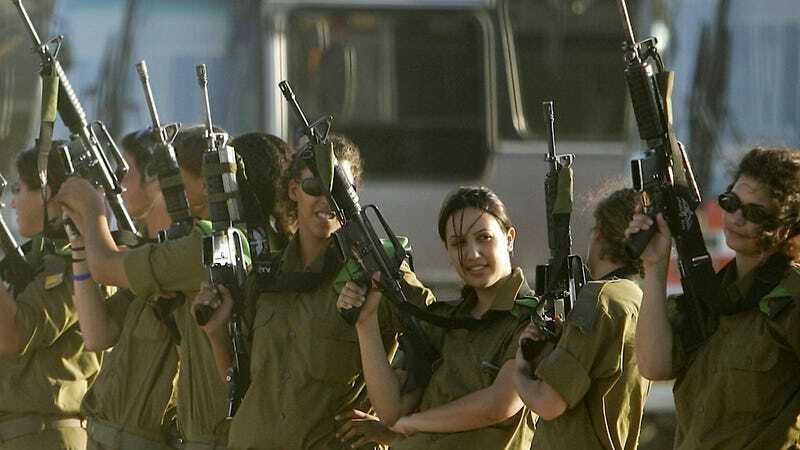 According to a report from the Associated Press, the Israeli military said it disciplined a group of female soldiers for posting photos of themselves stripping off their fatigues and posing in only a few tastefully-placed pieces of combat gear. Military officers said that the photos constituted “unbecoming behavior” for Israeli soldiers, though it wasn’t the first such time the military has had to deal with social media indiscretions, most likely a consequence of having mandatory military service for almost all 18-year-old men and women. Of course, a youthful army is also capable of some top-notch music video choreography.